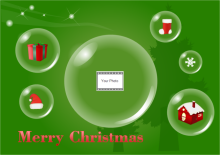 An easy to use software for creating personalized Christmas photo cards with greetings. Design perfect Christmas cards with your best photos. This coming Christmas, don't settle for store-bought Christmas card when you can give your loved ones a personally-designed Christmas card. Making your Christmas card yourself really reflects how special the receiver is to you because of the time, effort, and love spent on it. Edraw offers a platform for design lovers to create unique Christmas card through their own creativity, rather than to buy ready-made templates from the online stores. You are the designer, and you decide the style, the layout, the theme, and the photo numbers, while Edraw is your helper who assists you to realize all your great thoughts. Intuitive interface. Edraw has a Microsoft-alike interface that everyone is familiar with, saving you much time from learning something new. Extensive built-in vector Christmas card illustrations. 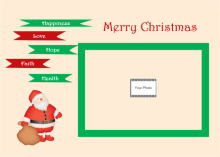 Edraw has pre-made a collection of clip arts that you can use on your Christmas card, including Santa, Reindeer, Gift Box, Christmas Tree, Candle, House, Bell, etc. Simply drag and drop existing shapes, and customize by changing the size and colors. Easy to add text fields. Edraw enables you to add text boxes anywhere on the card. With the text block tool, you can easily resize, rotate and move the texts. Easy to add pictures, resize, rotate and move pictures. 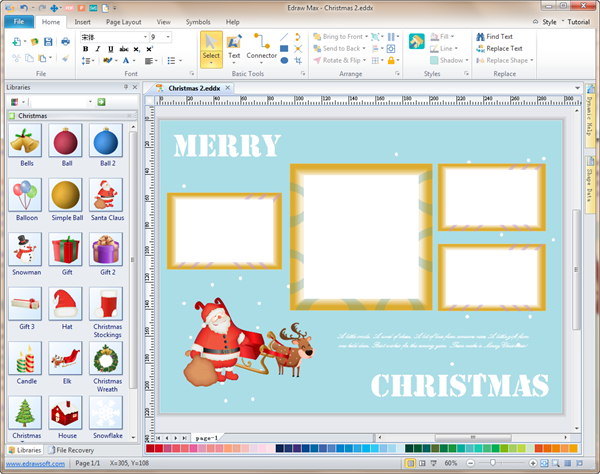 First start Edraw, from the available templates, click Presentation, then double click Christmas icon to start a new drawing page. Apply a white background from the background library on the left. Click Background View under Insert tab and edit background. Switch back to Normal View to add illustrations and frames. From the Christmas library, there are a big amount of illustrations available in use. Drag and drop these shapes and enjoy your Christmas card design journey. 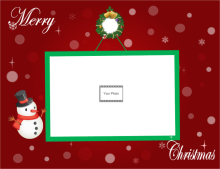 Click here to see a complete Christmas card making guide. Tip: Other than the Christmas library, you can drag and drop basic shapes such as heart shape, star shape, round rectangle shape, etc., from the Basic Drawing Shapes library. Simply click Library -> General -> Basic Drawing Shapes. 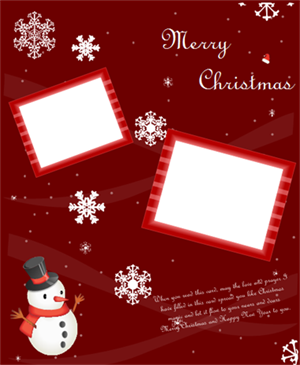 Here are some Christmas card examples created with pre-made clip arts and background in Edraw. You can actually use these examples as starting templates directly. Click the pictures to turn to the download page. Download a free trial and see first-hand how quickly and easily you can create effective great-looking Christmas cards.